Church of St Peter, Wormleighton, 2017. 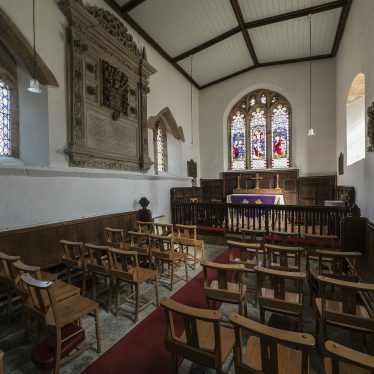 Interior of Church of St Peter, Wormleighton, 2017. 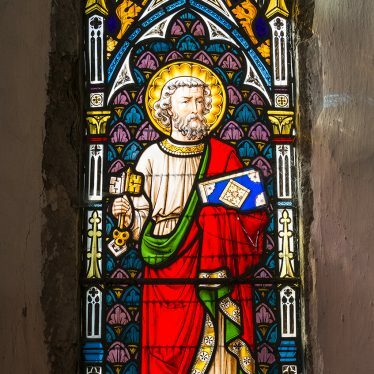 Stained glass window in Church of St Peter, Wormleighton, 2017. 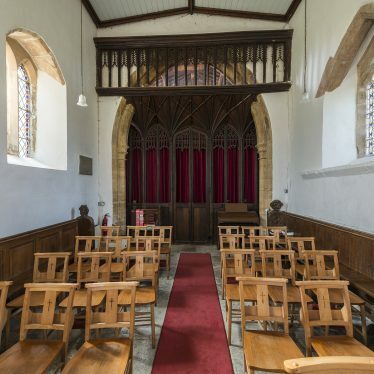 1 Chancel, nave, N and S aisles, S porch and W tower. 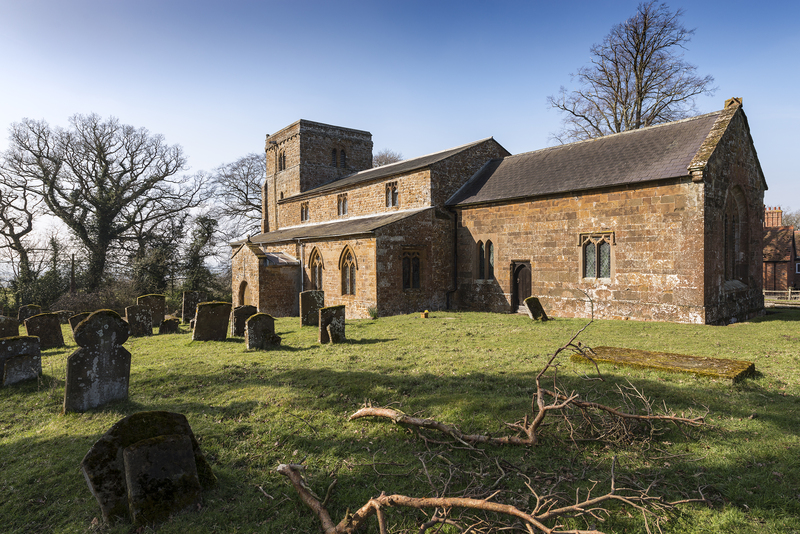 There was an early 12th century church on the site, as indicated by the surviving angles of the original nave. 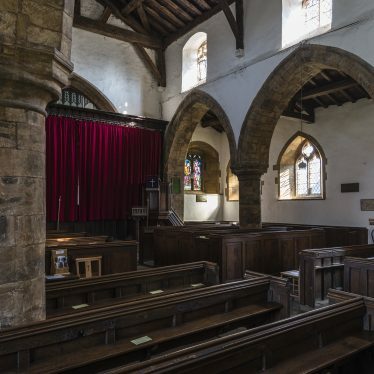 At the end of the 12th century the two narrow aisles with their three-bay arcades were added; the aisles were altered in the 14th century, including the windows, but not the original S doorway which still exists. W tower also of end 12th century or slightly later. 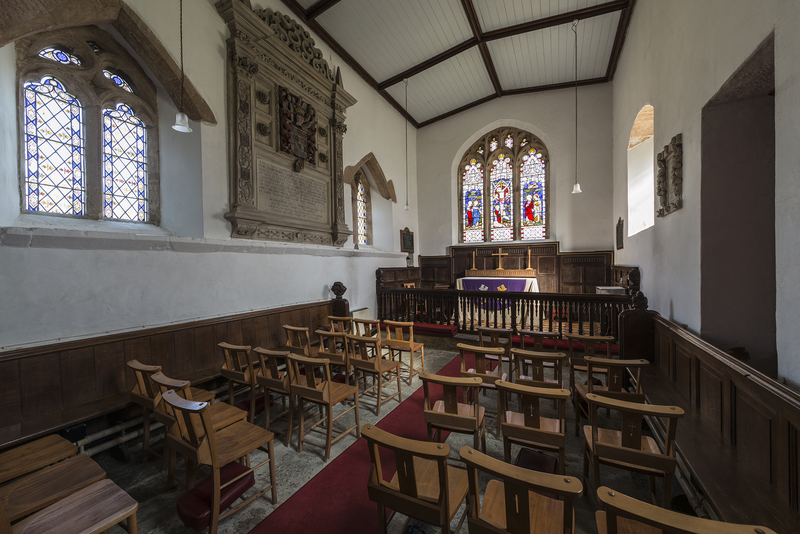 Early 13th century chancel with 14th century side windows and 15th century E window. E and S walls rebuilt in the 18th century. 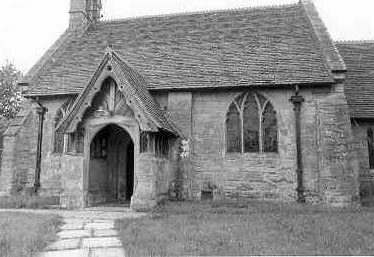 Porch of 14th century or early 15th century. 15th century clearstorey. 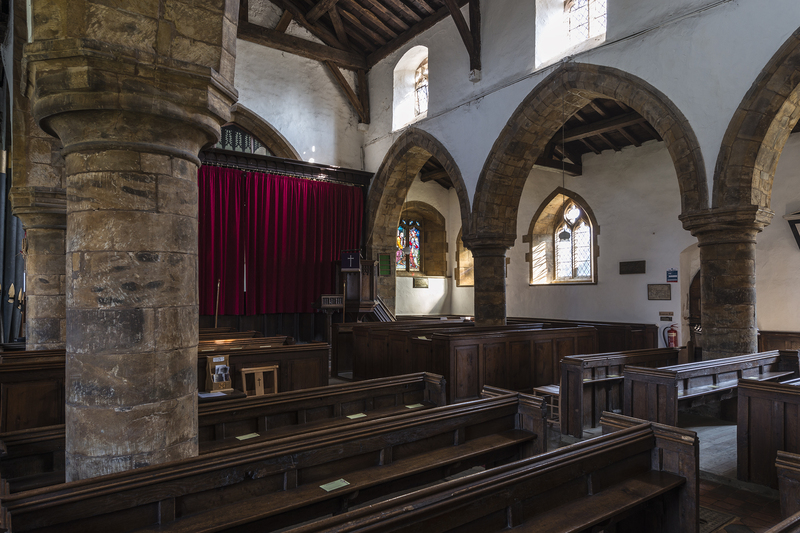 Low-pitched 16th century or 17th century nave roof; the chancel and S aisle roofs are modern. 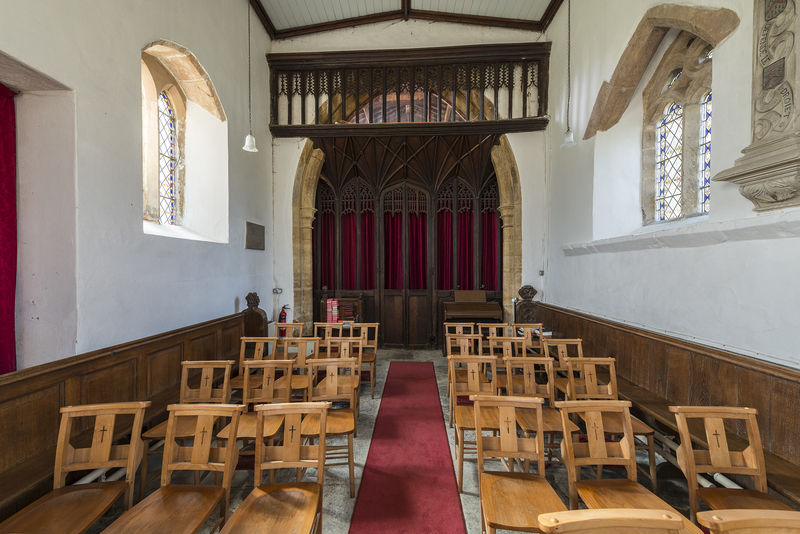 An interesting survival is the rood screen and part of the rood loft of the 15th century. Monument to John Spencer, d 1610. There was a priest here in 1086. 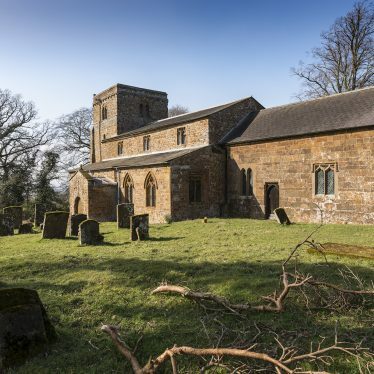 5 A largely unaltered Medieval church. The site of an archaeological feature which survives as an earthwork of Post Medieval date. 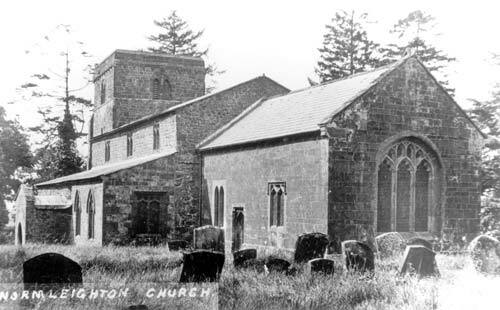 It is located 500m north west of the modern hamlet of Wormleighton. 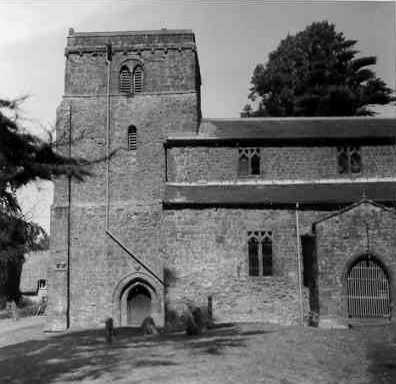 The Medieval Church of St Peter. 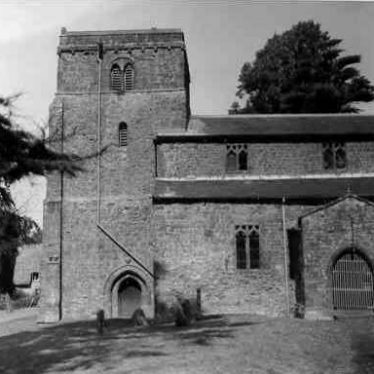 Parts of the church were incorporated into a later building during the Post Medieval period. It is situated at Peter Hall. 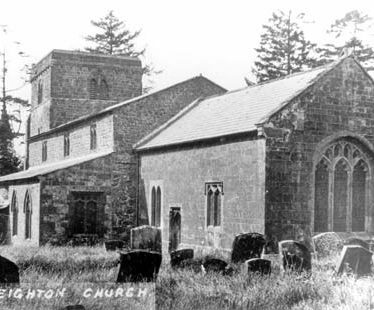 The Church of St Peter, originally built in the Medieval period, was largely rebuilt and enlarged in 1847. Only the south arcade and the tower remain of the Medieval building. It is situated 600m east of the sewage works, Wellesbourne. A former nonconformist chapel built in the Imperial period, now converted for use as a theatre. It is situated on Rosemary Hill, Kenilworth.